George H. Muller is the main author and editor of the first editions of “Small Animal Dermatology”, by many considered as “the bible of veterinary dermatology”. He was born as Georg Heinz Müller in Breslau, Germany (now Wrozlaw, Poland) and emigrated with his family to the USA. Dr. Muller received his DVM from Texas A & M University, and served as a Captain in the US Army during Wrold War II and received the China War Memorial Medal. 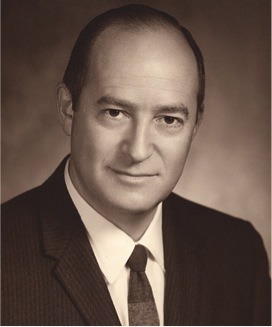 He founded the Dermatology Subcommittee of the American Animal Hospital Association in 1958, and was a member of the clinical faculty at Stanford University for 30 years. He was a co-founder of the American Academy of Veterinary Dermatology, the American College of Veterinary Dermatology, and the European Society of Veterinary Dermatology. His practice in Walnut Creek, California became the first small animal dermatology practice in the world.